Most of us think of the inside of the eyeball as a quiet pool of unmoving fluid. In reality, this fluid participates in a steady, slow motion circulation as new fluid is produced and old fluid is drained away. Childhood glaucoma is a condition in which pressure slowly builds up in the eye, eventually damaging the optic nerve and destroying eyesight. This build-up of pressure can result from too much fluid being produced, from too little fluid being drained, or from a combination of the two. An isolated drainage problem is called primary glaucoma. Secondary glaucoma can stem from production problems or combinations of problems. Childhood glaucoma is uncommon, but it can occur in anyone. Glaucoma that begins before the 3rd birthday is called infantile glaucoma. It can even be present at birth, although this is less common. Juvenile glaucoma is the name given to glaucoma that begins after the 3rd birthday, up to and including the 30th. 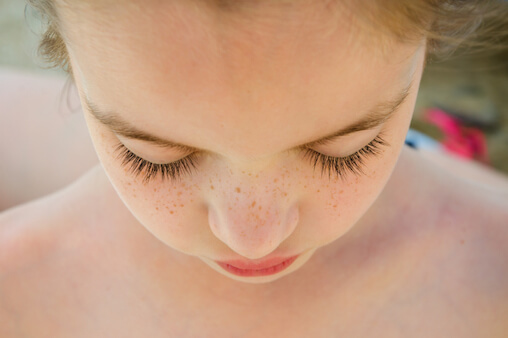 The three classic symptoms of childhood glaucoma are increased tears, light sensitivity, and blinking tightly. Many children, however, do not display these classic symptoms. Some may have large eyes, red eyes, or decreased vision as the first symptom. Sometimes the eyes appear blurry or swollen to onlookers. The symptoms are most evident if they occur in only one eye. If they are present in both, people often think they are normal. It is a progressive disease that usually lasts until treated. Glaucoma is suspected based on the symptoms and the physical exam. The diagnosis may be confirmed on a complete eye exam. The pressure in the eye may be measured initially and to monitor treatment. Unlike in adults, surgery is usually the first line of therapy in children – either to decrease fluid production or to enhance the drainage capacity. This may be followed throughout childhood by other treatments including medicines and/or patching to maintain normal eyesight. Glaucoma is difficult to prevent, but the vision loss can be prevented by prompt diagnosis and treatment. It can cause vision loss through direct pressure on the optic nerve. Glaucoma causes even more vision loss in children by causing amblyopia.